Myzone is an innovative wearable heart rate based system that uses wireless and cloud technology to accurately and conveniently monitor physical activity. 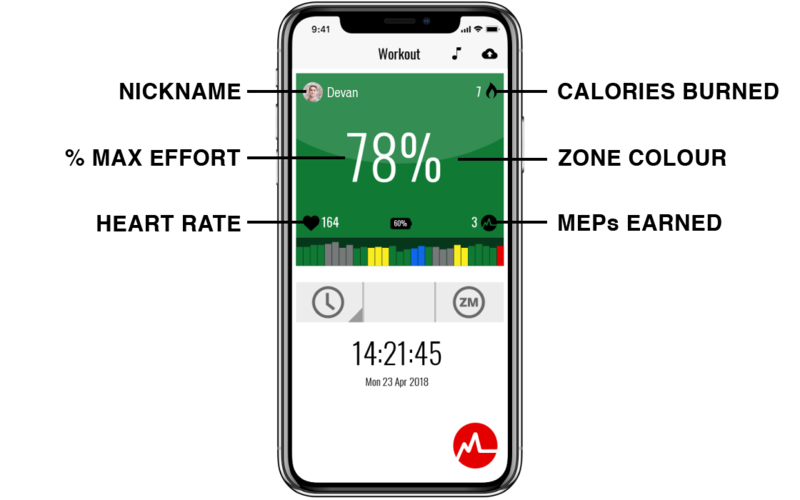 Myzone delivers a fully connected solution for anyone who wants an accurate (equivalent to an EKG at 99.4%), gamified and motivating wearable experience. Myzone monitors heart rate, calories and time exercising that convert into Myzone Effort Points (MEPs), with a focus on rewarding effort rather than fitness. The Myzone App gives real-time feedback during each workout to encourage effort in the moment. The app is user-friendly and intuitive, allowing you to see results anywhere, anytime. You can compete and connect with friends, view workout history, enjoy social sharing, leaderboards, and build a community. The Myzone app works for both Android and iOS and stores the data. Purchase your MyZone band from Customer Service. Watch the below video to decide which band is right for you. Download the MyZone App from the App Store or Google Play and create an account and connect your new band. Need some help? This MyZone Getting Started Video should help; alternatively ask Customer Service or a Fitness Instructors. Which band is right for me? MZ-3 is a full featured tracker with internal memory to track every workout and every minute. - Track your workout and sports outside of the centre without needing to carry your phone The MZ-1 has no internal memory, designed specifically for the class-goer in mind. If you are not satisfied with the product, you can a full refund by returning it within 14 days.